Duplication of OE routing, constructed with high quality materials and use of safety features protects against premature failure. Line / Hose Length (in) 34. Hose / Line Lining Steel. Hose / Line Outer Material Rubber. 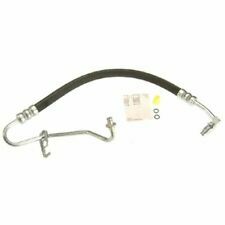 FORD part number E5DZ-3A697-A. All our parts are (NEW OTHER) unless otherwise specified. They may have been in storage anywhere from 1-30 years. Rubber parts, gaskets, hardware may need to be replaced and may not be useable. 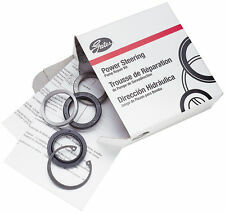 Ford OEM Power Steering Pump Seal and Gasket Kit. Applications are provided through literature and research and is correct to the best of our knowledge. "Gates Power Steering Pump Seal Kit -- GATES POWER STEERING SEAL KIT -- This power steering pump seal kit consists of components that are made of OEM quality materials.". Condition : New. Therefore all implied warranties that may apply to your part are limited to the duration of this written warranty. Power Steering Fluid Reservoir. Reservoir Cap Included: No. Reservoir Type: Attached. 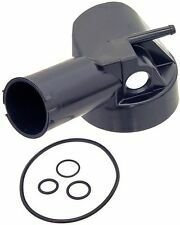 1999-2000 Ford Explorer 4.0L 6Cyl SOHC Pump Mounted Reservoir. Dorman #: 603-900. 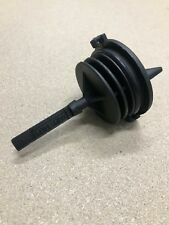 Includes reservoir cap and level sensor (where applicable). 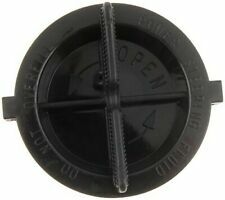 Power Steering Reservoir Cap Fits Ford Aerostar 82582 Dorman - HELP. Manufacturer Number: 82582. 1986 Ford Aerostar. &nbspNeeda PartsPart Number: 825824. &nbspFordPart Number: YF1Z3A006AA. &nbspFordPart Number: E6DZ3A006A. Power Steering Pump fits 1985-1989 Merkur XR4Ti ARC REMANUFACTURING INC. The engine types may include 1.6L 1598CC 98Cu. l4 GAS SOHC Naturally Aspirated, 1.6L 1598CC 98Cu. l4 GAS SOHC Naturally Aspirated, 2.0L 1989CC 122Cu. l4 DIESEL SOHC Naturally Aspirated, 2.0L 1989CC 122Cu. 40 Years in Business! Excellent Customer Service! The engine types may include 2.3L 140Cu. l4 GAS Naturally Aspirated, 2.3L 140Cu. l4 GAS SOHC Naturally Aspirated, 2.3L 140Cu. l4 LPG SOHC Naturally Aspirated, 2.4L 146Cu. V6 GAS OHV Naturally Aspirated, 3.3L 200Cu.